In October of 2017, a newcomer took the cryptocurrency world by storm. The company, known as Cardano, introduced their ADA cryptocurrency and it rapidly climbed to over 2000% of its original value. That rapid rise produced a market cap of over $18 billion (USD), and it forced analysts to take notice. That led to a year-end with no shortage of Cardano news appearing throughout the media. Since that time, early investors engaged in some profit-taking that has brought the price of ADA back in line with what is expected for an early-stage cryptocurrency. At the time of this writing, the coin’s value stands at $0.184731 (USD) and the market cap is holding at around $4.7 billion (USD). That large swing in price begs the question: Will Cardano live up to the hype and produce further gains for holders of the ADA cryptocurrency? Here’s our 2018 Cardano price prediction, as well as everything you need to know to understand why Cardano is here to stay. Followers of cryptocurrency technology know that Bitcoin and Ethereum represent the first two generations of blockchain technology, respectively. Ethereum was the first to evolve the blockchain to create a complete platform beyond supporting a cryptocurrency. It included smart contracts and distributed applications. Cardano aims to go even further. Scalability – Cardano will rely on a proof-of-stake consensus system (called Ouroboros), rather than a proof-of-work system (Like Bitcoin and Ethereum). That will increase transaction throughput and lower fees. Interoperability – Cardano isn’t seeking to supplant other cryptocurrencies. It includes a digital wallet system that will accommodate other coins. It also features a side-chains system to provide linkages to other blockchain implementations. Sustainability – Cardano doesn’t distribute all allocated block rewards to the owners of processing nodes on the network. Instead, it reserves 25% of rewards to be reinvested into the development of the platform in the future. In addition to resolving many of the weaknesses inherent in earlier blockchain implementations, Cardano also seeks to be more secure from the ground up. To that end, the Cardano platform is built using the programming language Haskell. It was chosen because it produces far cleaner and simpler code than most other languages. That will help to ensure that the underlying system is error-free and therefore secure from the beginning. That’s not the only way that Cardano is working to enhance the security and reliability of their platform, though. Each part of the system also goes through a thorough peer review process before implementation. That allows for flaws and logic errors to be detected and eliminated before they do any harm. The process enhances not only the security of the system but its transparency as well. Due to the advantages that Cardano’s platform will have over incumbent blockchain implementations like Ethereum, there is little doubt that it will be a technically superior product – when finished. At present though, Cardano is only just reaching its second roadmap phase, codenamed “Shelley”. While that represents a critical milestone, it is still a very early stage. As Cardano continues to progress, Bitcoin continues to dominate the cryptocurrency market, making ADA an afterthought. At the same time, Ethereum is gaining a stranglehold on the smart contracts market. Cardano will have to mature quickly enough to gain a following before the existing systems eclipse it for good. Although the Cardano blockchain is still under development, there are already some early adopters. This month, Swiss non-profit Traxia became the first ICO to launch using the Cardano platform. Traxia aims to convert outstanding small business invoices into tradeable smart contracts. It would be a way for SMBs to monetize uncollected accounts receivable with little overhead. Making a system like that work is going to require Cardano to deliver on all of its promises of speed, security, and scalability. That means that those interested in the long-term viability of Cardano should keep an eye on Traxia. Their success or failure will be the digital equivalent of a “canary in a coal mine”. Since the Cardano platform is still at an early stage, it’s difficult to pin down an exact value for the technology. We do expect that the price of ADA will remain steady through the third quarter of the year, though. At that point, all of the features of the “Shelley” phase will be fully integrated. That includes the stake delegation system and consensus incentives. Once that happens, Cardano’s future will become clearer. If stakeholders invest in building the infrastructure needed for large-scale use, expect ADA’s price to soar into the $4(USD) range. Be aware, though, that delays or setbacks in development may have a corresponding effect on ADA’s price. At this point, though, there’s little reason to fear losses in any event. It is clear that Cardano has the makings of a revolutionary blockchain technology. We don’t yet know if it will live up to its lofty goals and become a major player. Right now, investing in the platform through ADA purchases is an excellent strategic move for those eyeing long-term gains. Those looking for near-term profits should look elsewhere. 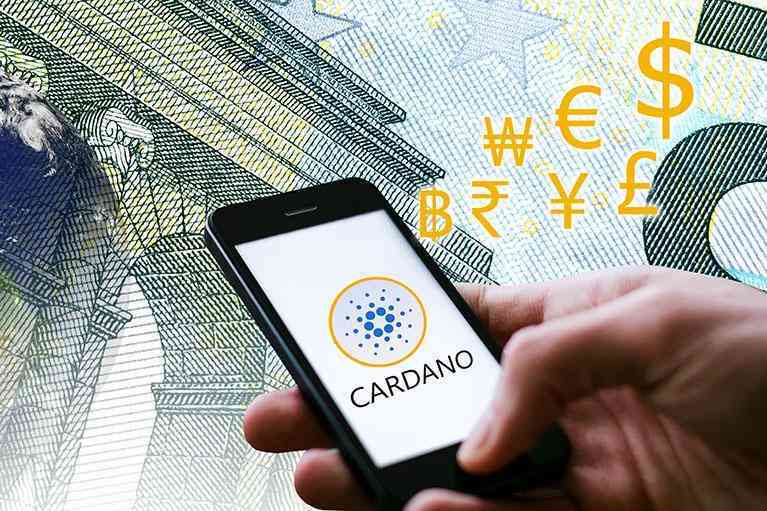 In any case, we expect Cardano to remain a solid, low-profile performer for the foreseeable future.